This blog was originally published on 22 September 2011. I thought it would be useful to revisit it on the day the UK government announced plans to ban the sale of all petrol and diesel-powered cars by 2040. That gives the auto industry 23 years to finally try to make electric vehicles sustainable; 23 years to set up a reliable network of charging stations; 23 years for cities to provide decent public transportation networks to make the act of buying a car for urban use unreasonable. 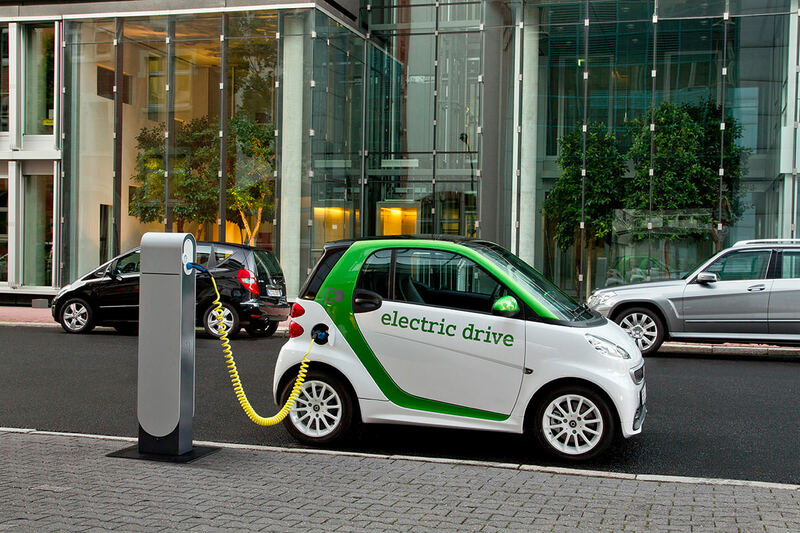 Sadly since a somewhat “wet behind the ears” Risk-Monger published this blog, more data came out to confirm that electric cars are less sustainable than diesel-powered vehicles (see a blog I had published a year later following the publication of a Norwegian study). And since then, the big NGOs still have not launched any serious campaign against cars (who would donate to them for that environmental improvement?). If you care about the environment, don’t buy an electric car. I have just spent some time in the Great State of Michigan, and while the enthusiasm for electric cars there is palatable, the conversations I have had with people in the field have not been reassuring. Bottom line: if you care about the environment, don’t buy any car at all: walk, pedal or take the bus. If it is essential for you in your world to own a vehicle, find one that is 20 years old and use it only when necessary. I have come to the opinion that greener cars are much less green than our ecological guilt complex would want us to believe. As the Risk-Monger tends to hug smokestacks rather than trees, what has got a bee in his bonnet this time? It is not just the sanctimonious pomp of “green” car producers and drivers. It is not just the thousands who die every year from automobile accidents. It is not just the health problems from air and noise pollution or the violation of historic city centres and forests with roads and noise. It is not just the planned and perceived obsolescence that leads us to need a new car every five years (even though cars built in the 1950s are still capable of being driven today). It is not just that transportation accounts for around a third of global anthropogenic CO2 emissions. The Risk-Monger has commented on all of these points before – we all know these points as we are not stupid. It seems that the economic dependence, jobs and the love affair western societies have had with the car has allowed us to accept the contradictions of such an unsustainable product. Where is the outrage as we move into a more unsustainable car production phase and pretend that we are all being greener? We need to stop producing electric cars before we destroy the environment. There is no accepted carbon-labelling scheme for cars (too complex of a supply chain to measure? ), but it is widely agreed that the average car will produce about a third of its lifetime CO2 emissions before it is driven off of the lot (smelting the steel, moulding the plastics, glass, rubber, electronics, assembly …). Hybrids have two motors and large batteries (that often need replacing and are costly to recycle) but there is no serious debate on what they are costing to the environment to build. I don’t even want to begin to touch the rare earths debate here, but sustainable and efficient battery technology is still decades away. Until we get a credible lifecycle assessment for electric car manufacturing we can only assume that electric / hybrid cars emit more CO2 to produce and are more difficult to recycle. Electric car drivers should not be given any green cred but should be paying higher CO2 taxes. I find it offensively absurd that policy-makers today consider building more cars to be a greener solution. Cash for Clunker schemes aimed at taking cars that were only seven or eight years old off of the road. In Belgium, it is common practice (with the leasing and inspection schemes) to replace cars every four to five years. Given the CO2 emitted to continue making more cars, how can this be environmentally sustainable? I would argue that manufacturers must guarantee that their cars provide more than 20 years of road service (if not, they should be penalised). Other incentives should be used (declining road tax rates as cars age, retro-fitting premiums, …). Car production is not just about jobs and exports. The plan for a smart grid is a good example of how a cloud of stupidity is descending on us in slow motion. In order to avoid scheduled rolling black-outs when the climate ninnies succeed in stopping fossil-based energy production (and nuclear! ), a lot of clever technological gadgets will be sold to us to allow us to use more energy when it is more available. This is based on the assumption that most energy consumption will be residential (most factories, production sites and offices will likely relocate to countries that can guarantee energy supply) and that most appliances will be able to switch on during off-peak hours. The scary scenario would be in say five years, when electric cars start coming on-stream by 2-5% incremental increases per year. All of these volt-suckers will be draining the smart grids at a time when our residential needs will be switching on (could I then plug my morning coffee machine into my electric car?). WWF, in a report demanding more cars, thinks that there should be no problem, but so many times in the past, we have seen how their research has been more idealistic and aspirational than factual. As “Clydesdales” go through running shoes faster than lighter weighted runners, heavy cars (the kind with two motors and large batteries) go through tyres much faster than normal, “less green” cars. Internet forums are full of questions from Prius drivers who are trying to find economic solutions to their frequent tyre changes. What are the ecological problems of more rubber being burnt? Most tyres today use synthetic rubber and I have not been able to find reliable data on the CO2 emissions in manufacturing or recycling them. Additives like carbon black complicate the process, but we can safely conclude that fewer tyre changes are better for the environment. Furthermore, as heavier cars leave more tyre dust in the urban atmosphere (leading to increased respiratory illnesses), we should not ignore this issue (but apparently we do). Why does this blog seem counter-intuitive? Is it because we have been PR’ed up the backside that electricity can be green and reliable? That we have been told so often that hybrids or full electric cars are greener? That cars in general are seen as a basic right in the developed world, and a dream or ambition in the developing world? Or is it because NGOs do not seriously campaign against cars (although they campaign against global companies like VW or Exxon as part of their anti-globalisation rants)? The reason the big environmental NGOs don’t run large campaigns against the single most environmentally destructive product we have is because there is no money in it for them. If a campaigner comes up to someone on the street and asks him to contribute to a campaign to get his car off the road, should we be surprised if the fundraising is a little bit difficult? Without any serious voice to get all cars off the road (green or electric), should we be surprised at how unsustainable our behaviour has been?